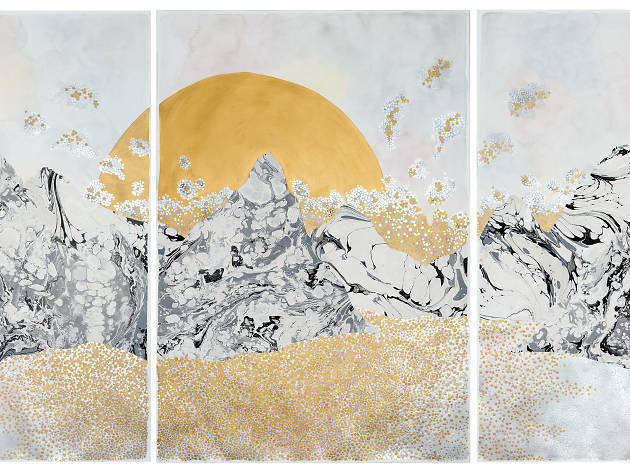 Presenting landscapes as metaphors of the complexities of life as well as her own emotional states, emerging contemporary artist Crystal Liu is showcasing 17 new abstract landscape paintings created specifically for this show. 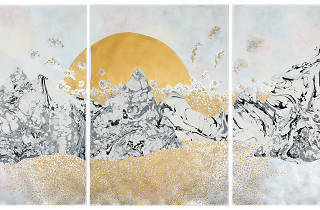 View how the Toronto-born artist employs handcrafted marbled paper collaging in the style of traditional Chinese ink paintings and watercolours to depict the beauty of nature and the moon and stars. The subtle style of Li is able to tell audiences everything from hopefulness to desolation and human relationships through imagery of the natural world.